CIVIC is well-known to CCA. CIVIC has spoken out publicly against CCA on multiple occasions. CIVIC raised concerns about sexual abuse of immigrants detained at a CCA facility in San Diego. CIVIC drafted and co-sponsored legislation in California to end private immigration detention contracting in the state. And CIVIC advocated for the Department of Homeland Security to shift away from private immigration detention contracting, which they voted to do earlier this month. 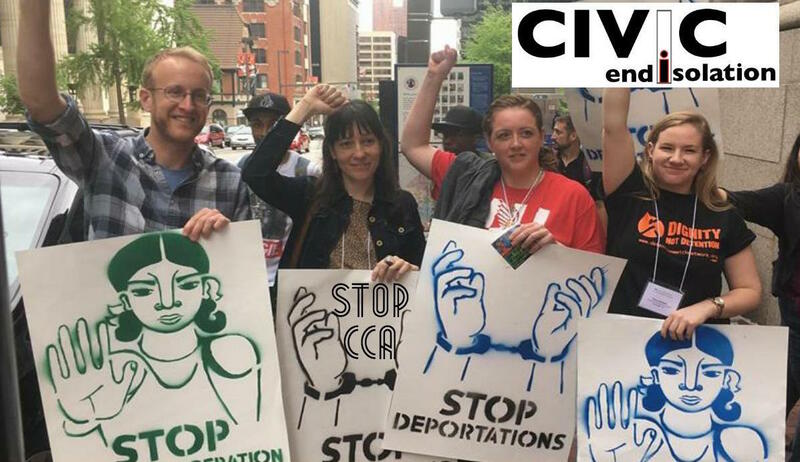 “It is shocking that CCA would steal our name in what can only be construed as an effort to create undue confusion for immigrants in detention and exploit the goodwill associated with our name,” says Christina Fialho, co-founder/executive director of CIVIC. “There is an irony to the fact that a corporation in the business of running private prisons chooses to re-brand itself with the trademark of one of its most active critics and watchdogs. Whatever the motive, however, the new name is likely to result in confusion among the clients, supporters and regulators who already know the good work of CIVIC in the field of prisoner services and prison reform,” says Jonathan Kirsch, pro bono trademark counsel for CIVIC. “We will not allow CCA to usurp our name or confuse immigrants in detention with this underhanded move to profit from our good work. CCA must stop using our trademark,” says Christina Mansfield, co-founder/executive director of CIVIC. CIVIC has retained the Law Offices of Jonathan Kirsch and Kendall Brill & Kelly in this matter.